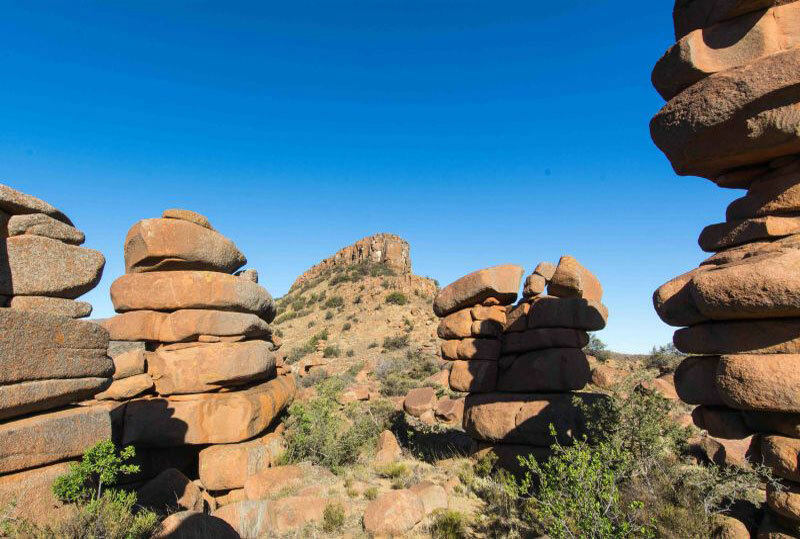 Karoo Ridge Conservancy is full of wonderful rocky outcrops, ridges and cliffs and the landscape is characterised by low rainfall, arid air and cloudless skies with a rich ecosystem. The Karoo is a land of extremes. Winter days are crisp and cold with blue skies and bright sunshine while nights are clear with wonderful starlit skies. In summer, temperatures can reach over 35℃ with hot sunny days, occasionally interrupted by spectacular thunderstorms which bring the majority of area’s annual rainfall. 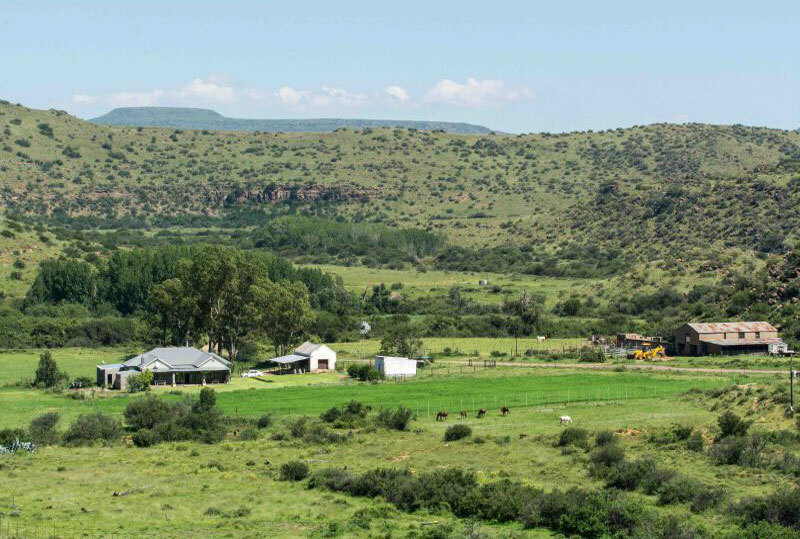 The lands that make up Karoo Ridge Conservancy were once several smaller farms. The original area was called Laughing Waters, perhaps because of the numerous springs and fertile veld that typified the land at that time. 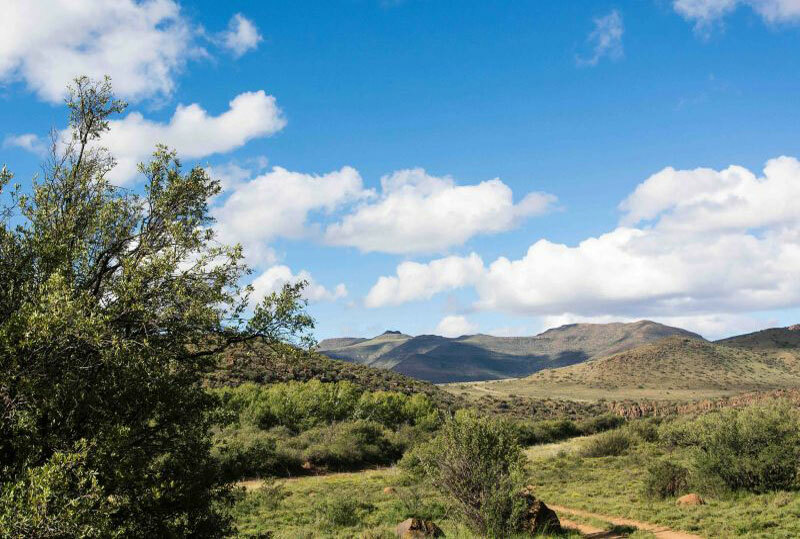 During the Anglo-Boer war, an English soldier who was stationed nearby fell in love with the beauty and majesty of the area and in the early 1900’s after the war had ended, he came back to the Karoo and purchased the farm. At that time the land supported ostriches, sheep and cattle. Since then windmills, homesteads, barns and cottages have been built and the veld fenced to contain stock. The rocks of the Karoo superveldt were formed 300 million years ago in a vast warm inland sea, surrounded by swampy deltas and forests. Fossil remains of ancient reptiles and amphibians found in the region have made the Karoo famous amongst palaeontologists. The onset of major volcanic activity ended the evolution of reptile species when erupting lava was forced between layers of horizontal sedimentary rock, creating the jaw-dropping hard dolerite ridges and sills still seen today. 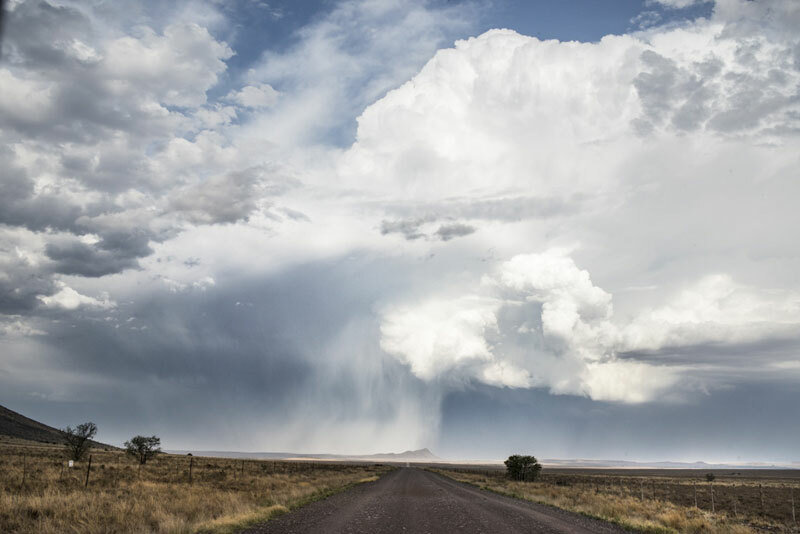 Ever since then, continuous weather erosion has exposed and shaped, and reshaped the flat-topped mountains that are so characteristic of the Karoo. Middelburg, approximately 50 km away, is a small rural town that rose to prominence during the Anglo-Boer war when 7,000 British troops were garrisoned there. Today it is a lovely old town with quaint traditional houses and small shops. Nieu Bethesda, approximately 100km away, is an old Karoo mountain village. It is famous for the extraordinary Owl House, the home of local artist Helen Martins. There is also an excellent fossil museum; the James Kitching Fossil Exploration Centre. 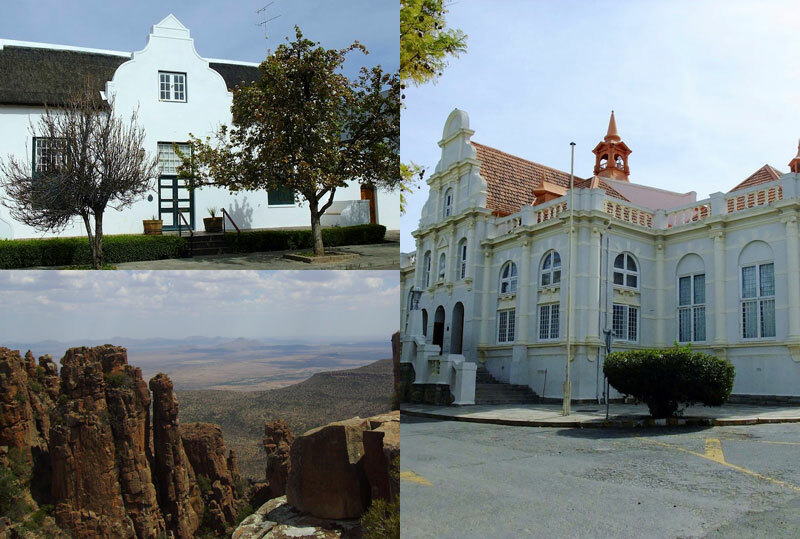 Graaff-Reinet, 150 km away on the banks of the Sunday River, was originally a trading post from the Cape Colony. Andries Pretorius, the Great Trek leader, farmed nearby and it was here that the first independent ‘Colonies’ government was proclaimed. During the second Boer War, Graaff-Reinet was the centre of British military operations for the Eastern Cape. It is an attractive town with interesting architecture, an art gallery and a museum. Nearby is the Camdeboo National Park with incredible dolerite pillars in the Valley of Desolation. Mount Zebra National Park near Cradock is a nature reserve for the endangered cape mountain zebra, cheetah and cape buffalo.